This card was created for a young couple who were leaving the "big smoke" of the city and moving to a lovely new apartment outside town. I searched through my Cricut cartridges for just the right image. Typical icons such as a house or truck did not fit with this move. 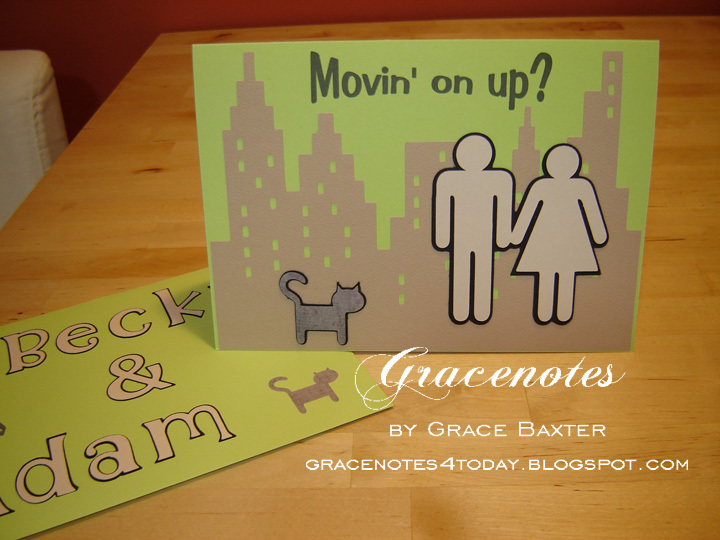 Then I landed on the city scape scene (Going Places cartridge), made it cover the whole front of the card, and added the man, woman and of course, the cat. 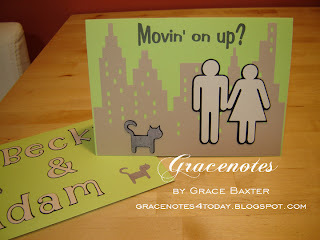 Just having Kittie on the card made the whole thing perfect for this little family. 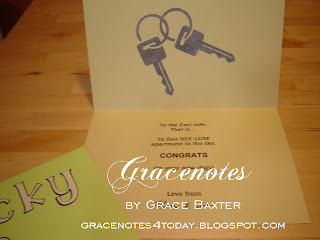 I placed two linked keys cut from gray cardstock that has a metal look. And as always, I embellished the envelope to match. It turned out great and they loved it! For this card and envelope, I let their cardstock colours set the scheme. The purchased blank card and envelope are from a pack I bought in cheery summer colours. 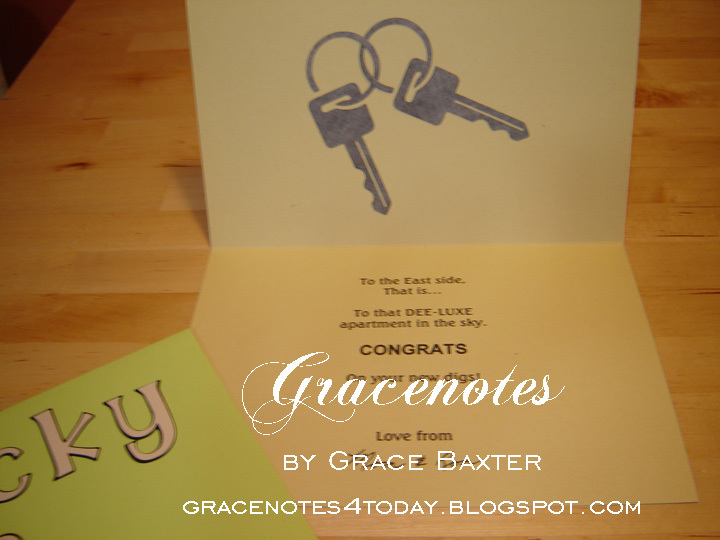 The inside of the cards are a neutral cream which is perfect for embellishing and adding text. This set, in lime green looked best with the toned-down shade of light tan for the city scape on the front. Kittie, naturally, needed to be gray. The people are in the lightest shade of cream I could find. I then shadowed the people and cat in black to make them stand out against the softer background. Inside, the keys are the same stock as the cat on the front.